Esther Jackson is the Public Services Librarian at The New York Botanical Garden’s LuEsther T. Mertz Library, where she manages Reference and Circulation services and oversees the Plant Information Office. On Wednesday, January 25, 2017, from 1 p.m. to 6 p.m., the LuEsther T. Mertz Library will host a Wikipedia Edit-A-Thon focused on creating and enhancing articles for Women in Science. Specifically, we will be highlighting female scientists. 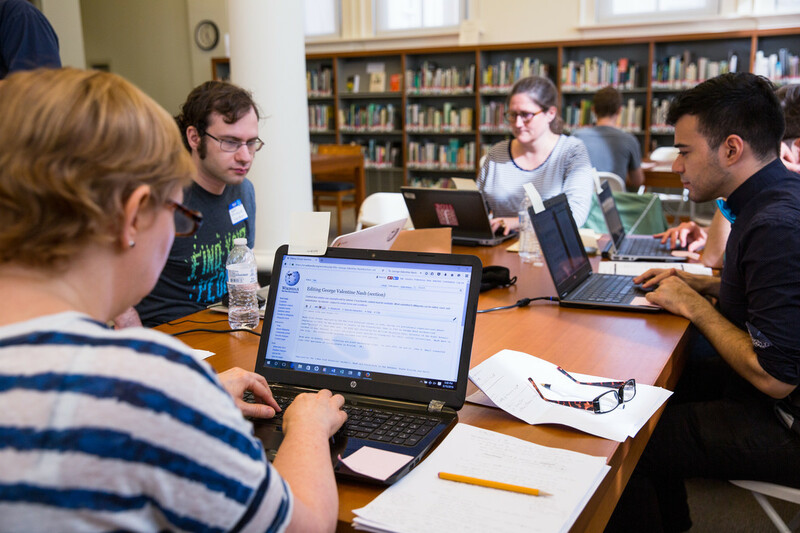 This NYBG Edit-A-Thon is a part of a week of Wikipedia editing events hosted by the Council on Botanical and Horticultural Libraries (CBHL). Other participating institutions include Mt. Cuba Center and the University of New Mexico. The theme for this series of Edit-A-Thons is “Plants and People.” At NYBG, library staff has elected to focus on creating biographical Wikipedia articles for women who work within several areas of botany—ethnobotany, taxonomy, and plant collecting. Readers of Science Talk may remember that the library hosted an Edit-A-Thon in June of 2016 focused on creating and enhancing articles for botanists who made significant plant collections in New York State. The library welcomed a total of 26 attendees to the event, who created a total of 5 articles and edited 14 pages. Examples of the day’s work include articles about Daniel Atha, the Garden’s current Conservation Program Manager, Grace “Betty” Lotowycz, who was a member of the Torrey Botanical Society, and Inez Haring, a moss specialist who was an assistant honorary curator at the Garden. For those unfamiliar with Wikipedia’s editing process, library staff will offer training during the first hour of this event. Editors of all skill levels are welcome to join in at any point during the event, although new editors are encouraged to arrive at 1 p.m. Attendees should bring a laptop. You can view this event on Wikipedia and add yourself to the event page here.